Every product based company needs to market its product to enhance the profit. Formulation and marketing of products is based on the customer’s needs and wants. With the difference n the individual’s personality, individual’s choice of the product also differs. Marketers need to classify their products according to the needs of the customers. This classification leads to the formation of three layers of products. Another concept that has been considered by marketers is the product components concept. This concept of product has been generated to affect the buying decisions of the customers by offering them the features according to their requirements. Marketing is the promotional tool that has been used to create awareness about the product in the market. It aids the communication between the manufactures and the customers. There are many mediums that can be used for marketing of the products. Marketing is the subset of sales as it drives the sales of the products. The product based organizations need to invest much of their money in marketing services as it is very important for them to make customers aware of the product otherwise, it definitely affect the sales of the products and hence the profit of the organisation. Marketing techniques revolves around the product. The components and the associated features of the product form a total product. The communication of a total product benefits the organisation to raise sales. This easy argues about the layers of the products. The products are classifies into layers according to the needs and wants of the customers. Five layers of the products have discussed in the essay below along with an example that aids the better understanding of the topic. 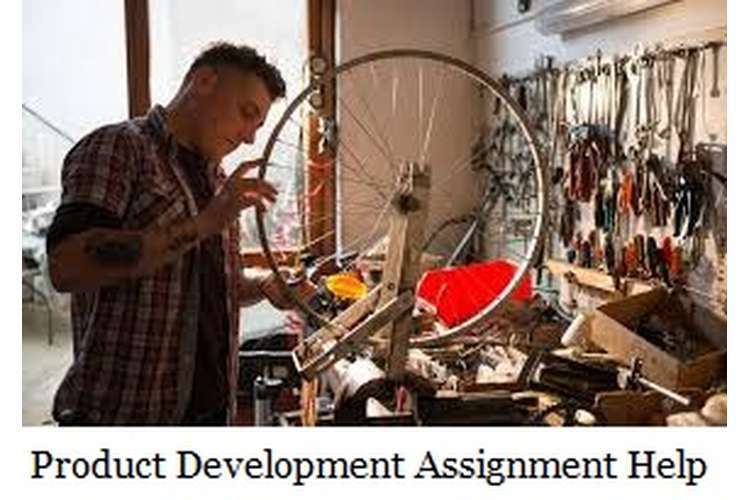 Later part of the essay discusses about the product components concept. This concept is about the components, a product is made up of. These components affect the buying decisions of the customer. This topic is also discussed and described with detailed explanation with the examples. There are many words that can be associated with product. Product is tangible, product can be seen, product can be felt, however it is more than just being seen and felt. A product meets the needs of the individuals. A product is what an individual requires to fulfill his needs. In addition to the tangible value, a product also poses an abstract value that forms the basis of the division of products in layers. The products get their abstract value when they fulfill the needs of the customers. Needs and wants of the customer differ from person to person. Different individual with different behavior perceive same product differently. (Rahnama, & Beiki, 2013)A product can only be said to be valuable if it is accomplishing the demand and need of the customer on time. For businesses to achieve the success, it is necessary to classify the products according to the market segmentation. This segmentation and classification according the needs also helps the businesses to innovate their products accordingly. It also aids the businesses to target more and more segments by modifying single product according to the customer segment they are serving. Marketing researches have come up with 5 layers of the product. This concept classifies the products according to the needs, wants and demands of the customers from different market segment. Core product: This is the first layer of the product concept. The core product fulfills the basic need of the customer. It is not necessary that if a product falls in core category for one customer, it will fall in the same category for another. The keyword that has been associated with this product layer is need and different person have different needs at times. An example can be discussed to understand the concept. If a lady bought a makeup kit, the answer to why she bought that kit determines the layer of that product for her. If she says that it is for enhancement of her beauty that means this product is the core product for her as it is fulfilling her fundamental need of beauty enhancement. Basic product: Basic product layer involves the ingredients associate with the product that can be need by the customer to fulfill his core needs. The tangible products involved in the make up kit describe the basic product layer. In this situation, that lady is concerned about all the basic products she needs in the kit to enhance her beauty like, eye shadow, mascara, eyeliner, lipstick etc. presence of these products in the kit satisfies the basic need and hence the product falls under basic layer category. (Nicolau, 2013). Expected product: This category involves the customer expectations with the product. If a lady is buying a branded make up kit, she would expect high quality of the products. As the basic and core needs of the lady is accomplished, now comes her wants from the products that is expected by her from the brand. The common example of the expectation is the quality of the product. If a customer is buying a branded, he would definitely expect to be provided with the high quality products that are claimed by the providers. Augmented product: augmented products satisfy the customers beyond their expectations. This involves the extras that have not been expected by the customers from the products. If that lady gets a discount voucher with that make up kit, it is the augmented product for her because she was not expecting that. These extra features are given to the customers in order to enhance the business. These strategies help the company’s to retain their loyal customers and also aid them to attract the new ones. There are many components associated with the product and those components play a vital role in the product buying decisions by the customers. The core product fulfils the fundamental needs of the customers but the components associated with that product attract the consumers to buy it. Suppose if a customer wants to buy bottle, he can choose any of the bottle because the basic need of the bottle is to carry water. Any bottle can do this for the customer, however customer make his buying decisions according to the quality, color and capacity of the bottle, this is the reason these associated components are very important for a product. These features that are directly linked with the products fall under the category of packaging components. These features enhance the products value and quality. Other than these features, some of the associated offers and unexpected gestures given to customers also enhance the value of the products. This category is known as the support services components. This component involves the services that support the product’s value. Below is the detailed description of all the components associated with the products that affect the buying decisions of the customers. (Blythe, 2009). Packaging component: packaging components involve the brand, quality, packaging material, trademark, styling and price of the product. Packaging component does not come under the basic needs of the people but falls under the category of wants. These are the associated features of the product that affects the choice of the customer. The brand of the product forms its identity and this identity determines its quality. Price of the products is highly depends upon its quality. It suggests that all the features under this component are interlinked with each other. After selecting a product by analyzing the core components, now customer focuses on the packaging components to make the buying decision. In case of mobile phone, customer looks for his budget. He asks himself some of the questions like whether he can afford the product or not, what is the quality of the product, which brand is associated with the product etc. If all these factors satisfy the customer, he will move on to the next component of the product which is discussed below. (Schmitt, & Now Publishers, 2011;2014;). Support service components: the support services components add value to the product. These components are considered at the last phase of making buying decision. This component involves warranty, guarantee, discount, maintenance, repair, delivery etc. these are the associated services that enhances the value of the products in customer’s eye. As far as the mobile phone’s example has been considered, the associated products with the mobile phone involves ear plugs, charger, memory card etc. these associated products with the main product adds value to it. Another associated support services that may affect the customer’s buying decisions are insurance of the phone, 6 months warranty or replacement offer etc. all these support services are not the basic need of the customer neither they enhancing the physical value of the product but these features are the augmented features that satisfy the customers beyond their needs. This can be considered as the marketing strategy of the companies to attract new customers and to retain the old and loyal customers. Customers also show loyalty towards the brands that provide them with such services. Marketing is the very important part for a product based company. It is very necessary to invest in the marketing activities to make people aware of the product. As individual differ with their choices, they have different perceptions about the same products. This perception depends upon their personality. Products have been classified in layers according to the needs of the people. The layers involve the core product that fulfills the fundamental needs of the customers. Next is the basic product that considers the ingredients involves in the product that is required to fulfill the core needs. Another layer is the expected layer that is associated with the wishes of the people from the product follows with the augmented products that provide services that are beyond customer’s expectation. Last layer is the potential layer that focuses on all the future improvements of the product. The components of the products affect the buying decision of the customers. The components of the product are categorized as core, packaging and support services. All these components are orderly affects the buying decisions of the customers. Core components involve the physical and functional features of the product. Packaging components involves the quality and the brand associated with the product and support services involves the guarantee, warrantee, repair and maintenance services that are complementary for the customers. Blythe, J. (2009). Key concepts in marketing. London;Los Angeles;: SAGE. Nicolau, I. (2013). The evolution of the marketing concept. Knowledge Horizons. Economics, 5(3), 154.